You hear “self-esteem” as an important thing to have. There are countless books, programs, and articles on how to boost it. Don’t get me wrong, it isn’t a bad thing, but it’s only a tiny slice of the picture. A few days ago, I (Michelle) was sitting on the phone with a client who was taking our Self-love class. She was talking about how she thought highly of herself – she had great self-esteem. But as we dug deeper, she came to realize that she actually wasn’t very compassionate towards herself, and didn’t embody that self-esteem. Self-esteem is just that – a sense that we think well of ourselves, think that we’re “good” people, or that we’re cool, etc. But having self-esteem without embodying it in our decisions, or in the way we treat ourselves, or the way we talk to ourselves about ourselves, actually isn’t going to get us very far. Self-compassion is the quality that allows us to accept ourselves as we are in a moment where things are difficult. When we get triggered by something someone says or does, or we just feel sad, afraid or angry for some reason, it is self-compassion that allows us to accept those emotions as they are, accept that we have them, and know that we are worthy and lovable even with our sadness, or fear, or anger. Self-love is bigger picture, but it’s more than self-esteem – it’s the embodiment of self-esteem, really. It’s learning to make choices that are right for us, learning to really appreciate ourselves even with the mistakes, or foibles, or flaws that we have. It’s accepting all of who we are, even when who we are is different than who we’d like to be. 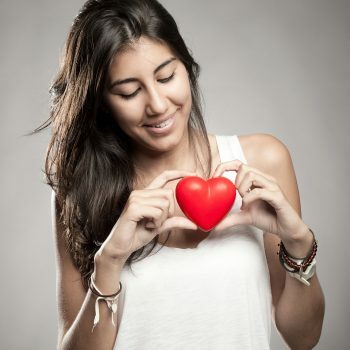 If you think you have great self-esteem, but you keep making decisions that aren’t good for you, or you give yourself up in relationships, or when things get rough, you get critical of yourself, you may need to add self-compassion and self-love to the mix.